E.Van Lowe is best known as a writer and producer of The Cosby Show, but he has written and produced for many sitcoms, including Charles in Charge, Even Stevens, Homeboys in Outer Space and the semi-autobiographical Where I Live. A short film, Cadillac Dreams, which he co-wrote, had been nominated for an Academy Award. His young adult novel, a paranormal romance and the first in a series of three books, is already getting a lot of interest from bloggers in the genre. Van Lowe has many fans from his previous book Never Slow Dance With a Zombie. For an interview with Mr. Van Lowe, click here. 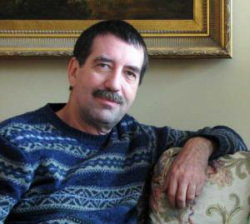 Robin Winter is the author of two previous novels, Future Past and Night Must Wait. She also pursues a career in oil painting under the name of Robin Gowen, specializing in landscape. Her work can be viewed at Sullivan Goss Gallery in Santa Barbara. Come to Chaucer’s to see her paint with words. 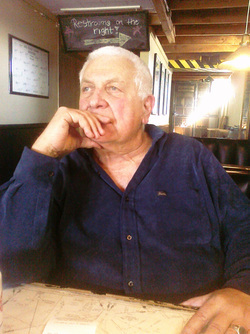 His stories have been published in Rosebud, The Clackamas Literary Review, The Santa Barbara Review, The Southern California Anthology, The Gander Review, and other journals. Love At Absolute Zero, a comic novel, was a finalist for Foreword Reviews Book of the Year Award. He has taught short fiction, playwriting, and screenwriting in the Master of Professional Writing Program at USC and teaches fiction at Santa Monica College and the Art Center College of Design. For an interview with Mr. Meeks, click here. Shelly Lowenkopf had taught in the University of Southern California’s Master of Professional Writing Program for 33 years, has taught at the annual Santa Barbara Writer’s Conference since the seventies, and has been guest lecturer in many schools and conferences. He has served as editorial director for literary and general trade book publishers, seeing over 500 books through the editorial and production process. His own short fiction has appeared widely in the literary press. David Scott Milton started as an actor in New York, learning acting and playwriting at Theatre Genesis alongside Sam Shepard, Leonard Melfi, and Murray Mednick. Milton’s first play, Bread, appeared at the American Place theatre, and he had a half-dozen more plays appear Off-Broadway. Duet premiered on Broadway, starring Ben Gazzara. Milton’s play Skin won the Neil Simon Playwriting Award. When Milton moved to Los Angeles in the seventies, he fell into film writing and fiction writing. Ivan Passer directed his first screenplay, Born to Win, starring George Segal and Karen Black. Milton has published five novels, and a sixth, Iron City, is due this year. He taught playwriting at USC starting in 1977, and for thirteen years, he also taught creative writing to men at the maximum security prison in Tehachapi. He wrote an article about the the prison for the Los Angeles Times (click here) and he created a one-man show, Murderers Are My Life, which was nominated as best one-man show by the Valley Theater League of Los Angeles. For an interview with Mr. Milton, click here.